Item # 291389 Stash Points: 5,398 (?) This is the number of points you get in The Zumiez Stash for purchasing this item. Stash points are redeemable for exclusive rewards only available to Zumiez Stash members. To redeem your points check out the rewards catalog on thestash.zumiez.com. 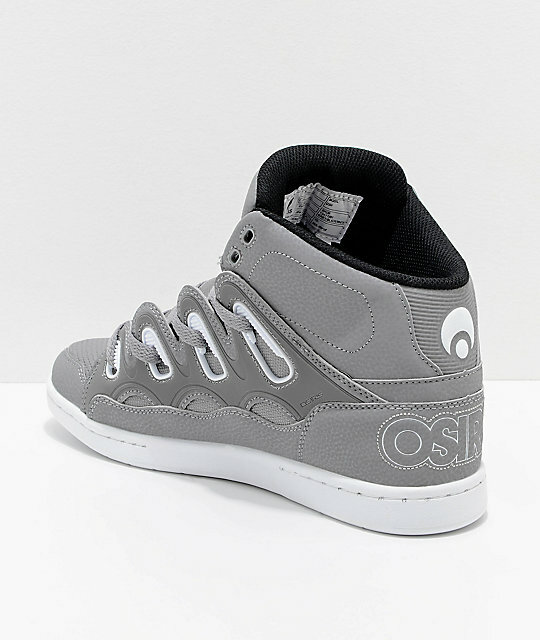 With a high-top silhouette and sporting flashy reflective details throughout the sidewalls, the Osiris D3H Grey, Black and White Skate Shoes are built tough with a synthetic leather/canvas upper and TPU side wall lace closure panels. A unique composition that boasts skate functionality with the aesthetic of high fashion streetwear. 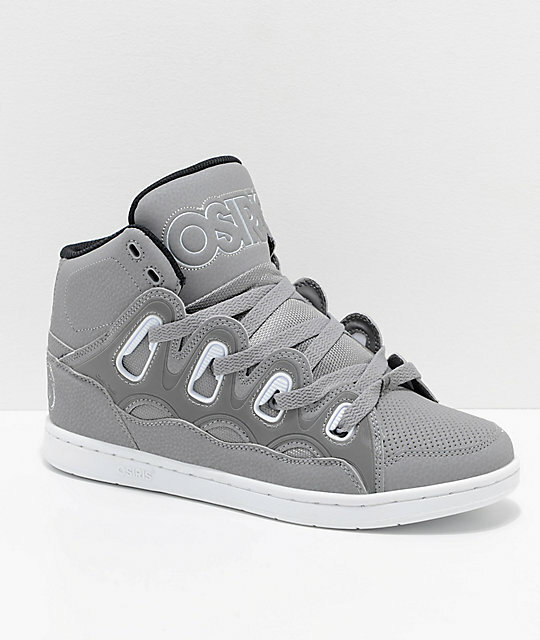 D3H Grey, Black and White Reflective from Osiris. 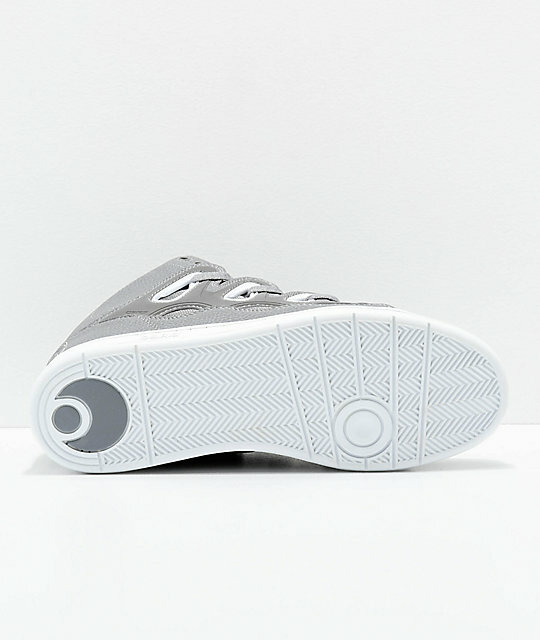 Synthetic leather and synthetic canvas upper with double stitched toe and reflective TPU side wall lace closure details. Cushioned EVA insole for comfort. Cupsole construction for durable performance and impact support. 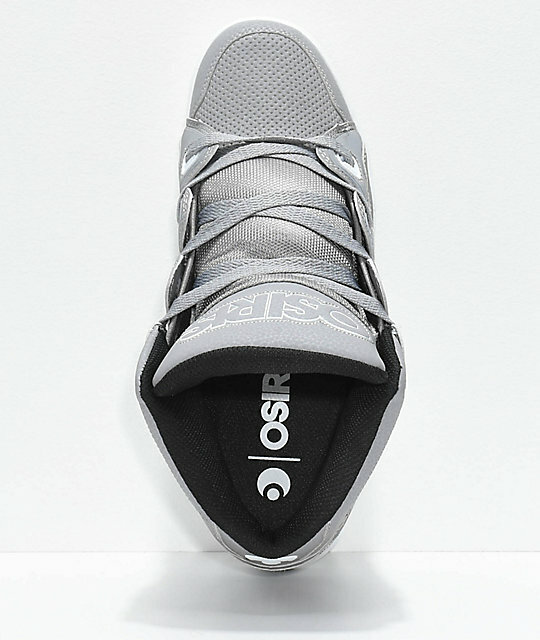 Osiris herringbone tread pattern on bottom for grip.